Two discs fixed on a leg, attached to the Tool bar thanks to two U clamps or horizontal and perpendicular clamps. It is possible to set the hight and the distance between the discs in order to do se the width and the height of the raised beds. 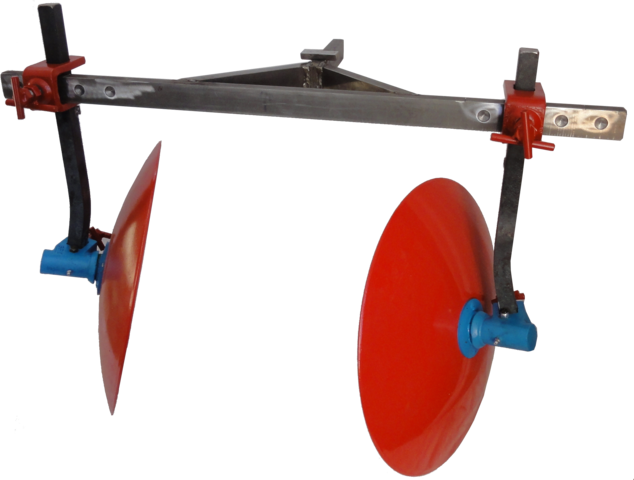 This is a fundamental tool, especially for draft animal agriculture, because once the beds are raised the animals naturally follow the furrow. Leading them is then way easier, and the path more regular. You’re a user of this tool ? Please tell us what you think of it and the way you use it by leaving a comment below. Thank you !